This employment form has not been tested on all mobile devices. It is recommended that you use a desktop instead of a mobile device to fill your employment form for the best experience. IMPORTANT: Additional Requirements for DSP Positions: 8. Physical exam, 9. 7-year DMV record, 10. High school diploma & 11. Auto Insurance. NOTE: We mail check until direct deposit starts. Direct deposit takes 2 pay cycles to become active. **Note: Direct Deposit takes up to two (2) pay cycle. Documentation must be accurate, detailed objective, precise and timely. All nurses’ notes must be signed by the patient or family member. This is proof of the nurse care and presence. Note that it is not legal or ethical to sign a client’s or family member’s signature. It constitutes fraud and is a felony. All Initial assessment must be completely filled out. For initial assessment packages, the yellow copies are left in the folder with the client and the white copies are returned back to the office. Holding your paperwork for too long only delays your payment for such services rendered. Called client’s MD? Document call/time and why. Check all appropriate boxes on the visit notes. DO NOT use white outs, scribble, trace over to change errors during your documentation. Simply draw a line across and write the correct information. Submit visit/progress notes within 7-14 days from the date of visit. A supervisory visit has to be done on the dates given on the visit schedule. NO exceptions. If unable to perform visit, contact the office/supervisor immediately. This is a state rule. Always work with the MD orders. NO EXCEPTIONS! If MD did not order it, don’t do it! Doctor (and Faith Medical) must be notified of changes in client’s status. You call the doctor and document the communication. Check the name on the order and the patient. Use 2 identifi ers. Ask patient to identify himself/herself. Check the medication label. Check the order. Again, check the order and appropriateness of the route ordered. Confi rm that the patient can take or receive the medication by the ordered route. Check the frequency of the ordered medication. Double-check that you are giving the ordered dose at the correct time. Confi rm when the last dose was given. Document administration AFTER giving the ordered medication. Chart the time, route, and any other specific information as necessary. For example, the site of an injection or any laboratory value or vital sign that needed to be checked before giving the drug. Confirm the rationale for the ordered medication. What is the patient’s history? Why is he/she taking this medication? Compare the physician order with the medication provided by the pharmacy. Resolve any discrepancy in accordance with facility/agency policies before proceeding with the administration of the medication(s). Obtain the necessary supplies needed for the type of medication(s) to be administered such as medication cups, proper measuring devices, cotton balls, disposable gloves, tissues, crushing or splitting device, round nose tweezers. Document the missed visit and the reason then fax or bring to the office within 24 hours. All Nurses are required to inform the Office Staff before missing the visit in advance to allow us locate a suitable cover. However, if you have a missed visit because of a patient (e.g. patient was at the doctor’s appointment), you MUST notify the office immediately. A revisit schedule will be given to you by your supervisory, also communicate any rescheduling done by the patient. Addendum to Company’s Equipment Use. I acknowledge that if I have been given any company equipment under my care and I am required to handle them with care. I agree to pay/replace in the given condition at the time of receipt of these equipments in the case of loss/theft, physical damage or any other damages that affect the functionality of the above equipment. I will sign for any equipment I receive. All positions at Faith Medical Services requires a minimum educational level of a High School Diploma or equivalent. You selected no; please explain why? You selected No; please explain the reason for a gap in employment below. I must meet the employability requirements of Federal Immigration Law and submit appropriate documentation to satisfy the requirements for completing INS Form I-9. If my application for employment is accepted, the effective date of my employment may in time I actually begin to work. If I accept the employment, I agree to comply with and be bound by the safety and health rules and regulations and rules of conduct of FAITH STAFFING AGENCY altogether with obligations set forth in the Company Policies. All information (including information on any accompanying resume) is correct and will be subject to verification. References List three persons not related to you who have knowledge of your work performance within the last three years. Click the plus ( + ) sign on the right of the field below to add more references. We need up to 3. Please click NEXT and wait patiently while your files are uploading. Once they are done uploading, you will be taken to the next page. Keep it up! You're doing awesome! Faith Medical Services [N] (“the Company”) may obtain information about you for employment (including contract or volunteer services) purposes from a third party consumer reporting agency. Thus, you may be the subject of a “consumer report” and/or an “investigative consumer report” which may include information about your character, general reputation, personal characteristics, and/or mode of living, and which can involve personal interviews with sources such as your neighbors, friends, or associates. These reports may contain information regarding your credit history, criminal history, social security verification, motor vehicle records (“driving records”), verification of your education or employment history, or other background checks, including drug screening. Credit history will only be requested where such information is substantially related to the duties and responsibilities of the position for which you are applying. You have the right, upon written request made within a reasonable time, to request whether a consumer report has been run about you, and disclosure of the nature and scope of any investigative consumer report and to request a copy of your report. Please be advised that the nature and scope of the most common form of investigative consumer report obtained with regard to applicants for employment is an investigation into your education and/or employment history conducted by MBI Worldwide, Corporate Headquarters, 101 North Park Drive, Suite 200, Herrin, IL 62948, (866) 275-4624, www.mbiworldwide.com, or another outside organization. The scope of this notice and authorization is all-encompassing, however, allowing the Company to obtain from any outside organization all manner of consumer reports and investigative consumer reports now and throughout the course of your employment to the extent permitted by law. As a result, you should carefully consider whether to exercise your right to request disclosure of the nature and scope of any investigative consumer report. New York and Maine applicants or employees only: You have the right to inspect and receive a copy of any investigative consumer report requested by Faith Medical Services by contacting the consumer reporting agency identified above directly. You may also contact the Company to request the name, address and telephone number of the nearest unit of the consumer reporting agency designated to handle inquiries, which the Company shall provide within 5 days. New York applicants or employees only: Upon request, you will be informed whether or not a consumer report was requested by Faith Medical Services and if such report was requested, informed of the name and address of the consumer reporting agency that furnished the report. By signing below, you also acknowledge receipt of Article 23-A of the New York Correction Law. Oregon applicants or employees only: Information describing your rights under federal and Oregon law regarding consumer identity theft protection, the storage and disposal of your credit information, and remedies available should you suspect or find that the Company has not maintained secured records is available to you upon request. Washington State applicants or employees only: You also have the right to request from the consumer reporting agency a written summary of your rights and remedies under the Washington Fair Credit Reporting Act. I acknowledge receipt of the DISCLOSURE REGARDING BACKGROUND INVESTIGATION and A SUMMARY OF YOUR RIGHTS UNDER THE FAIR CREDIT REPORTING ACT and certify that I have read and understood both of those documents. I hereby authorize the obtaining of “consumer reports” and/or “investigative consumer reports” by the Company at any time after receipt of this authorization and throughout my employment, if applicable. To this end, I hereby authorize, without reservation, any law enforcement agency, administrator, state or federal agency, institution, school or university (public or private), information service bureau, employer, or insurance company to furnish any and all background information requested by MBI Worldwide, Corporate Headquarters, 101 North Park Drive, Suite 200, Herrin, IL 62948, (866) 275-4624, www.mbiworldwide.com, another outside organization acting on behalf of the Company, and/or the Company itself. I agree that a facsimile (“fax”), electronic or photographic copy of this Authorization shall be as valid as the original. New York applicants or employees only: By signing below, you also acknowledge receipt of Article 23-A of the New York Correction Law. Minnesota and Oklahoma applicants or employees only: Please check this box if you would like to receive a copy of a consumer report if one is obtained by the Company. □ California applicants or employees only: By signing below, you also acknowledge receipt of the NOTICE REGARDING BACKGROUND INVESTIGATION PURSUANT TO CALIFORNIA LAW. Please check this box if you would like to receive a copy of an investigative consumer report or consumer credit report at no charge if one is obtained by the Company whenever you have a right to receive such a copy under California law. Employment and Education history to include skills, Employment History, Release authorization and applicant immigration acknowledgment. Faith Medical Services (the “Company”) intends to obtain information about you for employment screening purposes from a consumer reporting agency. Thus, you can expect to be the subject of “investigative consumer reports” and “consumer credit reports” obtained for employment purposes. Such reports may include information about your character, general reputation, personal characteristics and mode of living. With respect to any investigative consumer report from an investigative consumer reporting agency (“ICRA”), the Company may investigate the information contained in your employment application and other background information about you, including but not limited to obtaining a criminal record report, verifying references, work history, your social security number, your educational achievements, licensure, and certifications, your driving record, and other information about you, and interviewing people who are knowledgeable about you. The results of this report may be used as a factor in making employment decisions. The source of any investigative consumer report (as that term is defined under California law) will be MBI Worldwide, Corporate Headquarters, 101 North Park Drive, Suite 200, Herrin, IL 62948, (866) 275-4624, www.mbiworldwide.com. •	In person, by visual inspection of your file during normal business hours and on reasonable notice. You also may request a copy of the information in person. The ICRA may not charge you more than the actual copying costs for providing you with a copy of your file. •	A summary of all information contained in the ICRA’s file on you that is required to be provided by the California Civil Code will be provided to you via telephone, if you have made a written request, with proper identification, for telephone disclosure, and the toll charge, if any, for the telephone call is prepaid by or charged directly to you. •	By requesting a copy be sent to a specified addressee by certified mail. ICRAs complying with requests for certified mailings shall not be liable for disclosures to third parties caused by mishandling of mail after such mailings leave the ICRAs. [_] The Company will not obtain a consumer credit report on you. Please print/type the requested information. Lack of legible or missing information may delay the processing of this request. This is to certify that I have read and understand the Faith Staffing Agency Code of Ethics, and I will fully adhere to the spirit and intent of the policy. I have reviewed the Code of Ethics with the hiring agent. I also understand it is my responsibility to report any activity that may be an exception to this policy. I certify never to have been shown by credible evidence (e.g. a court or jury, a department investigation, or other reliable evidence) to have abused, neglected, sexually assaulted, exploited, or deprived any person or to have subjected any person to serious injury as a result of intentional or grossly negligent misconduct as evidenced by an oral or written statement to this effect obtained at the time of application. Purpose. Complete Form W-4 so that your employer can withhold the correct federal income tax from your pay. Consider completing a new Form W-4 each year and when your personal or financial situation changes. Exemption from withholding. If you are exempt, complete only lines 1, 2, 3, 4, and 7 and sign the form to validate it. Your exemption for 2017 expires February 15, 2018. See Pub. 505, Tax Withholding and Estimated Tax. Note: If another person can claim you as a dependent on his or her tax return, you can’t claim exemption from withholding if your total income exceeds $1,050 and includes more than $350 of unearned income (for example, interest and dividends). Exceptions. An employee may be able to claim exemption from withholding even if the employee is a dependent, if the employee: • Is age 65 or older, • Is blind, or • Will claim adjustments to income; tax credits; or itemized deductions, on his or her tax return. The exceptions don’t apply to supplemental wages greater than $1,000,000. Basic instructions. If you aren’t exempt, complete the Personal Allowances Worksheet below. The worksheets on page 2 further adjust your withholding allowances based on itemized deductions, certain credits, adjustments to income, or two-earners/multiple jobs situations. Complete all worksheets that apply. However, you may claim fewer (or zero) allowances. For regular wages, withholding must be based on allowances you claimed and may not be a flat amount or percentage of wages. Head of household. Generally, you can claim head of household filing status on your tax return only if you are unmarried and pay more than 50% of the costs of keeping up a home for yourself and your dependent(s) or other qualifying individuals. See Pub. 501, Exemptions, Standard Deduction, and Filing Information, for information. Tax credits. You can take projected tax credits into account in figuring your allowable number of withholding allowances. Credits for child or dependent care expenses and the child tax credit may be claimed using the Personal Allowances Worksheet below. See Pub. 505 for information on converting your other credits into withholding allowances. Nonwage income. If you have a large amount of nonwage income, such as interest or dividends, consider making estimated tax payments using Form 1040-ES, Estimated Tax for Individuals. Otherwise, you may owe additional tax. If you have pension or annuity income, see Pub. 505 to find out if you should adjust your withholding on Form W-4 or W-4P. Two earners or multiple jobs. If you have a working spouse or more than one job, figure the total number of allowances you are entitled to claim on all jobs using worksheets from only one Form W-4. Your withholding usually will be most accurate when all allowances are claimed on the Form W-4 for the highest paying job and zero allowances are claimed on the others. See Pub. 505 for details. Nonresident alien. If you are a nonresident alien, see Notice 1392, Supplemental Form W-4 Instructions for Nonresident Aliens, before completing this form. Check your withholding. After your Form W-4 takes effect, use Pub. 505 to see how the amount you are having withheld compares to your projected total tax for 2017. See Pub. 505, especially if your earnings exceed $130,000 (Single) or $180,000 (Married). Future developments. Information about any future developments affecting Form W-4 (such as legislation enacted after we release it) will be posted at www.irs.gov/w4. • If you plan to itemize or claim adjustments to income and want to reduce your withholding, see the Deductions and Adjustments Worksheet on page 2. • If you are single and have more than one job or are married and you and your spouse both work and the combined earnings from all jobs exceed $50,000 ($20,000 if married), see the Two-Earners/Multiple Jobs Worksheet on page 2 to avoid having too little tax withheld. If your last name differs from that shown on your social security card, check Yes. If you check Yes below, you must call 1-800-772-1213 for a replacement card. This form is not valid unless you sign it. If you do not wish to claim an an allowance, enter  in the fields for your marital status. Must be completed in order to enter an amount on the next step of this form. Faith Medical Services goal is to ensure all our clients are staffed always. Read our call-out policy and procedure. All employees requesting off work should inform the agency 2 weeks in advance so that the shift can be covered. In cases of emergency please inform the agency as soon as possible with a 4 hr minimum requirement so that your shift can be covered. Please do not call off work using email format, ensure to speak to your supervisor. Failure to comply with company policies will result in disciplinary actions. We thank you for your cooperation in advance. Read our No Call/No Show Policy and procedure. The company has a zero tolerance for No Call/No Shows. No Call/ No Shows are grounds for automatic termination. Anyone that performs a No Call/No Show must be in extreme medical condition which would not allow you to call into work. Proper documentation must be presented in order to excuse your absence. We thank you for your cooperation in advance. This is to inform all Faith Medical Services Employees of the policies and procedures when you are removed or want to be removed from a case. All employees that are W2 employees should allow 2 to 4 weeks for reassignment. All employees that are Independent Contractor/1099 employees will be reassigned on as needed basis. All employees have been assigned an Employee Code Number for the Dial N Doc System. Everyone should use the Clock In/Out System. This system is a part of your job and is monitored on a daily basis. You are to use the system as you enter the client's home and also when you exit. Please begin using this system immediately. We thank you in advance for your cooperation. This is to verify that you have received Faith Medical Services Payroll Calendar along with the payroll violation rules and regulations. Violations will attract a $35 fee payable to the 3rd party payroll company. All employees are required to wear their name badges at all times while on duty. The fee to replace the company name badges is $25. In the event you are no longer employed with our company, you are required to return the name badge to us within 2 business day; otherwise, a fee of $25 will be deducted from your last check. This is to verify that you have received Faith medical Services Employee Handbook along with all policies and procedures. Please adhere to all policies and procedures at all times. Disciplinary actions will follow with any violations to the company's policies. We would like to maintain a level of excellence at all times. ALL AIDES are to report incidences/occurrences as soon as they happen (no matter how small it may look) after making necessary phone calls like 911or call the nearest family member for help. You must call the office immediately and send in a report on the incidence form provided in your hire packet within 24 hrs. If you do not have this form, send it in on a plain paper or email us immediately at hr@faithagencyinc.com. Call the office for medically related issues like injury/fall, hospital, change in client’s medical status, client refusing services). YOU MUST REPORT ALL ISSUES EVEN IF THEY HAPPENED OUTSIDE YOUR WORK SHIFT. Report it as soon as you know. Please note that reporting an incidence/occurrence is a SAFETY issue. It protects YOU, the CLIENT, and FAITH STAFFING AGENCY, INC.
•	What happened? •	Could it have been prevented? •	Where there any allegations made? •	Are corrective actions required? •	Did we take the corrective actions required? •	Was it reported to the necessary organizations? •	Was it resolved and handled properly to prevent future occurrences? I have read the above policy and I understand the procedures for reporting incidences/occurrences. The purpose of this document is to set forth Faith Medical Services corporate policy regarding the privacy of individuals and the confidentiality of records. It is the policy of FMS that no staff member of other individual is ever permitted to tape record, photograph, video record, or invade the privacy of any patient, member of the patient’s family or other staff member(s). The policy applies even if the patient, member of the patient’s family, or staff member has knowledge of and/or consents to the tape recording, photographing, video recording, or any other similar act. Under no circumstances will these actions be permitted without the written consent of the FMS administrator. It is the policy of FMS that no staff member or other individuals is ever permitted to remove and/or copy any documents from any files of any patient, staff member or other individual. Under no circumstances will these actions be permitted without the written consent of the FMS administrator. In the event an individual invades the privacy or commits a breach of confidentiality of records as set forth above, FMS, reserves the right to handle said breach in any acceptable manner, including discipline and termination of staff members and criminal prosecution for theft. I will not use, disclose, or in any way reveal or disseminate to unauthorized parties any information I gain through contact with materials or documents that are made available through my assignment at Client or that I learn about during such assignment. I will not disclose or in any way reveal or disseminate any information pertaining to Client or its operating methods and procedures that come to my attention as a result of this assignment. I here acknowledge that I have read the confidentiality policy, that I have the opportunity to ask questions about this policy, and that I understand the contents of this policy. ACKNOWLEDGE RECEIPT OF NOTICE OF PRIVACY PRACTICES HIPPA EMPLOYEE/SUB-CONTRACTORS I have been given a copy of Faith Staffing Agency Inc. Notice of Privacy Practices (“Notice”), which describes how the health information of the clients in the home is to be used and/or shared. I understand that Faith Medical Services Inc. has the right to modify, amend and/or change this policy notice at any time. As a employee/sub-contractor, it is my duty and responsibility to be aware of any changes to ensure I am in compliance with adhering to all privacy rules. I may obtain a current copy by contacting the office during its business hours Monday – Friday. My signature below acknowledges that I have been given with a copy of the Notice of Privacy Practices. An individual is free to file a grievance at any given time. When an individual, legal guardian or family member, files a grievance with Faith Staffing Agency, Inc. the following steps below are implemented. An individual may bypass Faith Staffing Agency, Inc. procedures at any time during the grievance process and contact the Office of External Affairs. The phone number is 404-657-5964. The director will meet with the individual, legal guardian, or family and anyone involved in the grievance within 24 hours to discuss the issue. The director will work with the individual, legal guardian or family member to reach a mutually beneficial solution that is satisfactory to the individual. The director shall report back to the individual/legal guardian or family member with a resolution within 5 business days. Office of External Affairs Phone: 404-657-5964 Fax: 770-408-5439 Email: DBHDDconstituentservices@dhr.state.ga.us [ ] I, an individual of Faith Staffing Agency, Inc. have been fully informed about the grievance procedure for Faith Staffing Agency, Inc. [ ] I, a staff member of Faith Staffing Agency, Inc. have been fully trained and understands the grievance procedure Faith Staffing Agency, Inc.
POLICY: All RN’s, LPN’s, HHA’s, DSP’s documentation of patient care will be submitted to the Faith Medical Services office every Monday of each week. This documentation will reflect the previous week care of the assigned patient(s). PROCEDURE: All staff conducting patient care will document all actions taken on the appropriate forms to ensure that he/she delivers and/or has delivered quality care of their assigned client(s). Once all documentation is completed all paperwork must be submitted into the office Monday of each week. The paperwork can be delivered in person or via mail. No fax submissions will be allowed. All original documents must be placed in the patient’s chart as soon as possible. Non-compliance with this policy and procedure will initially affect the staff’s next paycheck. Continuation of non-compliance of this policy will result in disciplinary action and eventually termination of employment. Create a plan pull together everyone in your household and make a home evacuation plan with two ways out of each room, including windows. Don’t forget to make the location of each smoke alarm and make sure everyone including children knows how to identify the sound of the alarm. Make sure family members know to leave the house immediately if the smoke alarm sounds. Do not investigate to find out why it went off. The plan should include an arranged meeting place for your family. Teach family members that once they are out of the house during an emergency, stay out never go back into the house or burning property. Call 911 from a neighbor’s home, a cell phone or other electronic device. Do not waste time attempting to save property. If someone is missing fell the firefighters who are equipped to perform rescues. Family members also need to be educated about what to do if they need to escape through a burning house. Use the top of your hand(s) to feel top of doors, doorknobs and the cracks between doors and door frames to make sure fire is not on the other side. If heat and smoke come in when you open the door, slam it shut and use an alternate route. If you are unable to leave the building, seal doors and vents with duct tape or towels to prevent smoke from entering the room. Open a window at the top and bottom so fresh air can enter. Be ready to close the window immediately if it draws smoke into the room. Call the fire department and let them know you are trapped inside, wave a flashlight or light-colored clothing to let rescuers know when you are located. For more information on home escape planning, visit the National Fire Protection Association. Pull the pin at the top of the extinguisher. The pin releases a locking mechanism and will Allow you to discharge the extinguisher. Aim at the base of the fire, not the flames. This is important in order to put out the fire, you must extinguish the fuel. Squeeze the lever slowly. This will release the extinguishing agent in the extinguisher. If the handle is released, the discharge will stop. Sweep from side to side. Using a sweeping motion, move the fire extinguish back and forth until the fire is completely out. Operate the extinguish from a safe distance, several feet away, and then move towards the fire once it starts to diminish. Be sure to read the instructions on your fire extinguishers recommend operating them from different distances. Remember; Aim at the base of the fire, not at the flames!!!! “Abuse” means any intentional or grossly negligent act or series of acts or intentional or grossly negligent omission to act which causes injury to a participant, including, but not limited to, assault or battery, failure to provide treatment or care, or sexual harassment of the participant. “Exploitation” means an unjust or improper use of another person or the person’s property through undue influence, coercion, harassment, duress, deception, false representation, false pretense, or other similar means for one’s own profit or advantage. “Participant” means any person receiving services from the agency. Reporting abuse or exploitation; records. who has knowledge that any participant has been abused or exploited while receiving services from the facility shall immediately make a report as described in subsection (c) of this Code section by telephone or in person to the department. In the event that an immediate report to the department is not possible, the person shall make the to the appropriate law enforcement agency. Such personal shall also make a written report to the Department of Human Services with 24 hours after making the initial report. Any other person who has knowledge that participant of former participant has been abused or exploited while receiving services from the agency may report or cause a report to be made to the appropriate law enforcement agency. Any other information which the reporter believes might be helpful in determining the cause of the participant’s injuries or condition and in determining the identity of the person or persons responsible for the abuse or exploitation. Upon receipt of a report of abuse or exploitation, the department may notify the appropriate law enforcement agency. In the event a report is made directly to a law enforcement agency, under subsection (a) or (b) of this Code section, that agency shall immediately notify the department. The department shall maintain accurate records which shall include all reports of abuse or exploitation, the results of all investigations and administrative or judicial proceedings, and a summary of action taken to assist the participant. The department shall immediately initiate an investigation after the receipt of any report. The department shall direct and conduct all investigations; however, it may delegate the conduct of investigations to local police authorities or other appropriate agencies. If such delegation occurs, the agency to which authority has been delegated must report the results of its investigation to the department immediately upon completion. The investigation shall determine the nature, cause, and extent of the reported abuse or exploitation, an assessment of the current condition of the participant, and an assessment of needed action and services. Where appropriate, the investigation shall include a prompt visit to the participant. The investigating agency shall collect and preserve all evidence relating to the suspected abuse or exploitation. All state, county, and municipal law enforcement agencies, employees of the facility, and other appropriate persons shall cooperate with the department or investigating agency in the administration of this article. Evaluation results of investigation; protection of participant. Upon the receipt of the results of an investigation, the department, in cooperation with the investigating agency, shall immediately evaluate such results to determine what actions shall be taken to assist the participant. The department or an agency designated by the department shall assist and prevent further harm to a participant who has been abused or exploited. The department may also take appropriate legal actions to assure the safety and welfare of all other participants of the facility where necessary. Within a reasonable time not to exceed 30 days after it has initiated action to assist a participant, the department shall determine the current condition of the participant, whether the abuse or exploitation has been abated, and whether continued assistance is necessary. If as a result of an investigation a determination is made that a participant has been abuse or exploited, the department shall contact the appropriate prosecuting authority and provide all information and evidence to such prosecuting authority. Any agency or person who in good faith makes a report or provides information or evidence pursuant to this article shall be immune from liability for such actions. Neither the department nor its employees, when acting in good faith an with reasonable diligence, shall have any liability for defamation, invasion of privacy, negligence, or any other claim in connection with the collection or release of information pursuant to this article and neither shall be subject to suit based upon any such claims. Confidentiality. The identities of the participant, the alleged perpetrator, and persons making a report or providing information or evidence shall not be disclosed to the public unless required to be revealed in court proceedings or upon the written consent of the personal whose identity is to be revealed or as otherwise required by law. Upon the participant’s or his representative’s request, the department shall make information obtained in an abuse report or complaint and an investigation available to an allegedly abused or exploited participant or his representative of inspection or duplication, except that such disclosure shall be made without revealing the identity of any other participant, the person making the report, or persons providing information by name or inference. For the purpose of the Code section, the term “representative” also shall include a family member of a deceased or physically or mentally impaired participant unable to grant authorization; provided by, however, such family members who do not have written or court authorization shall not be authorized by this Code 31-33-1. Retaliation prohibited. No person or facility shall discriminate or retaliate in any manner against any person for making a report or providing information pursuant to this article or against any participant who is the subject of a report. Nothing in this Code section shall be construed to prohibit the termination of the relationship between the facility and the participant for reasons other than that the facility has been made the subject of a report, that such a report has been made, or that information has been provided pursuant to this article. Chapter 290-4-9 Client’s Rights Table of Contents 290-4-9-.01 Purpose, Implementation, and Definitions 290-4-9-.04 Remedies for Violations 290-4-9-.02 Treatment or Habilitation 290-4-9-.05 Confidentiality 290-4-9-.03 Treatment or Habilitation Environment 290-4-9-.06 Notification of Rights Chapter 290-4-9 can be found on the Rules and Regulations by Georgia Secretary of State website. 290-4-9-.01 Purpose, Implementation, and Definitions. (1) Purpose. The purpose of these regulations is to safeguard the rights of persons treated pursuant to O.C.G.A. Chapters 37-3, 37-4, 37-5, and 37-7. (2) Applicability. These regulations shall apply to all area community mental health, mental retardation and substance abuse programs, as defined in O.C.G.A. Chapters 37-2, 37-5, and 26-5, which are operated by the Boards of Health or Community Service Boards or funded through contracts with the Boards of Health, the Regional Boards, the Community Service Boards, or the Department of Human Resources, including licensed Personal Care Homes which are under contract with the Department, Boards of Health, Regional Boards or Community Service Boards to receive clients who have mental illness, mental retardation, or are substance abusers. These regulations shall in general apply to all persons served in such programs without regard to the type or source of entry into the program. When the client is a minor or an adult with a legally appointed guardian, the regulations are applicable to that parent or guardian, with certain exceptions, as specifically stated in various parts of the regulations. For persons being served by virtue of a court order related to a criminal matter, the regulations are applicable to the extent that they do not violate the provisions of the order nor the need to provide for the safety of the individual or of others. (3) Implementation. Each Mental Health, Mental Retardation, and Substance Abuse Program shall instruct each staff member in the contents of these regulations. Each Program shall also provide, at the beginning of each client's treatment, the client or his parent or guardian, if applicable, a written summary of the rights and remedies contained in these regulations and their applicability to him. Insofar as is possible, notifications shall be done in such a manner commensurate with the individual's abilities and capabilities of comprehension and understanding and shall be documented in the client's record. Further, prior to the restriction of any client's rights (as permitted in these regulations), a staff member shall again inform the client, or his parent or guardian if applicable, of his right to administrative complaint of that restriction, except in cases where the client's condition makes this impractical, and in such cases the client shall be informed at the time when his condition permits. (4) Definitions. Unless a different meaning is required by the context, the following terms as used in these regulations shall have the meanings hereinafter set forth: (a) "Abuse" means any unjustifiable intentional or grossly negligent act, exploitation or series of acts, or omission of acts by a staff member which causes physical or mental injury, or endangers the safety of a client, including but not limited to verbal abuse, assault or battery, failure to provide treatment or care, or sexual harassment; (b) "Care" means diagnostic services; therapeutic services, including the administration of drugs; habilitation; and any other service for the treatment or habilitation of an individual pursuant to O.C.G.A. Chapters 37-2, 37-4, 37-5, and 26-5; (c) "Chief Medical Officer" means the physician designated by the Program Director with overall responsibility for client treatment or habilitation at the facility receiving the client; (d) "Client" means any person who receives treatment or habilitation for alcohol or drug abuse, mental illness, or mental retardation pursuant to O.C.G.A. Chapters 37-2, 37-4, 37-5, and 26-5 or any person accepted for evaluation; (e) "Court" means, in the case of an individual who is 17 years of age or older, the probate court for the county of residence of the client or the county in which such client is found, and, in the case of an individual who is under the age of 17 years, the juvenile court for the county of residence of the client or the county in which such client is found; (f) "Department" means the Georgia Department of Human Resources and includes its duly authorized agents and designees; (g) "Director" means the Director of the Division of Mental Health, Mental Retardation and Substance Abuse of the Department of Human Resources; (h) "Division" means the Division of Mental Health, Mental Retardation and Substance Abuse of the Department of Human Resources; (i) "Guardian" means an individual appointed as provided by law to be legally responsible for the person of an adult or of a minor. Whenever the word "client" is used in these regulations, a guardian is entitled to exercise the client's rights on behalf of his ward; (j) "Individualized Service/Program Plan"
"Individualized Service/Program Plan": An organized statement of the proposed treatment/habilitation process to guide the service provider and client throughout the duration of service at the Program. (i) A statement of the goals or desired outcomes, based upon and related to a proper evaluation of the nature of the specific problem and the specific needs of the client, which can be reasonably expected to be achieved; (ii) The kinds of services to be provided to obtain these goals and the frequency of services; (iii) Identification of professional personnel who planned these services, including appropriate medical or other professional involvement by a physician; (iv) Documentation of client involvement and, if applicable, the client's accordance with the individualized service/program plan; (v) Compliance with the Program's written Quality Improvement Plan; (k) "Mental Health, Mental Retardation and Substance Abuse Program (Program)" shall mean an organized program for the care and treatment of persons with mental illness, mental retardation, or individuals with an alcohol or drug dependence or addiction operated by a County Board of Health or Community Service Board or funded through contracts with a County Board of Health, Regional Board, Community Service Board or the Department of Human Resources. (l) "Mental Health, Mental Retardation and Substance Abuse Program Director" shall mean the Director of a Mental Health, Mental Retardation and Substance Abuse Program. (m) "Physical Restraint" means any mechanical device used to restrict a person's physical movement, except for those devices which are applied for protection from accidental injury or required for the medical treatment of the client's physical condition or for supportive or corrective needs of the client. These latter devices used in such situations must be authorized and applied in compliance with the Program's policies and procedures. The use of such devices shall be documented in the client's record; (n) "Physician" means any person duly authorized to practice medicine in this State pursuant to O.C.G.A. Chapter 43-34; (o) "Psychologist" means any person duly authorized to practice applied psychology in this State pursuant to O.C.G.A. Chapter 43-39. (p) "Professional staff" means staff members who are psychiatrists, psychiatric nurses, physicians, social workers, clinical chaplains, psychologists, or persons who have met Division requirements for Mental Health Professional Equivalency or Mental Retardation Professional. (q) "Quality Improvement Plan" means a written description of a clearly defined, organized program that is designed to promote quality client care through peer review and ongoing objective and systematic assessment of client care and the correction of identified problems. The plan describes the authority and responsibilities of program staff responsible for review of client's rights, mechanisms for choosing representatives from individuals served or their representatives, and individuals not otherwise affiliated with the program to serve on the Quality Improvement Clients' Rights Subcommittee; (r) "Regional Executive Director/Designee" means the person with overall responsibility for the Mental Health, Mental Retardation and Substance Abuse Services. (s) "Representative" means the person appointed, pursuant to section 290-4-9-.02(1)(h) of these regulations, to receive notices; (t) "Staff member" means, for the purpose of Chapter 290-4-9 only, any person who is an employee, independent contractor, or other agent of the Department or of a County Board of Health, Regional Board or Community Service Board who provides services to persons with mental illness, mental retardation, or who are substance abusers. The use of "Staff member" in these regulations for such persons shall in no way alter the legal relationship of such persons and the Department, or subject the Department to any liability to which it is not otherwise subject; (u) "Time-out" means a behavior modification procedure whereby a person is removed from the environment, or stimuli within the environment, which reinforces the undesired behavior which needs to be modified, and to an unlocked area where the client's movement is not restrained. 290-4-9-.02 Treatment or Habilitation. (1) Appropriateness. (a) General. Each client shall receive care that is suited to his needs in the least restrictive environment available offering appropriate care and treatment or habilitation. All clients have the right to a humane treatment or habilitation environment that affords reasonable protection from harm, exploitation or coercion. No client, whether voluntary or involuntary, shall be deprived of any civil, political, personal, or property rights or to be considered legally incompetent for any purpose without due process of law. Temporary restriction or denial or a client's rights may occur only when specific justification is documented, per these regulations. Protection of the client's well-being shall be of primary concern to all staff under all circumstances. (b) Individual Service/Program Plans. follows: (i) Each client shall be evaluated and assessed by the staff as soon as possible after admission but within the time limits contained in the Community Service Board's Quality Improvement Plan or Division/Department minimum requirements, as appropriate. (ii) Each individualized service/program plan shall be reviewed at regular intervals as specified in the Community Service Board's Quality Improvement Plan or Division/Department minimum requirements, as appropriate, to determine the client's progress toward the stated goals and to determine whether the plan should be modified because of the client's present condition. These reviews should be based upon relevant progress notes in the client's record and upon other related information. (c) Receipt of Service (Day Services). (i) The right to care despite inability to pay; (ii) The right to receive services in the least restrictive environment available; (iii) The right to review and obtain copies of his service record, unless determined by the physician or such other staff as designated by the governing authority to be responsible for the client's treatment or habilitation to be contraindicated. Such determination shall be noted in the client's records along with the specific reason for any denial. A determination that a client may not review or obtain copies of his record shall expire after 30 days. Upon any new request after expiration, a new determination must be made and documented in the client's record. After any denial of his right to review or obtain copies of his record, a client may file a complaint under the procedures outlined in 290-4-9-.04. A client who is permitted to obtain copies of his record may be required to pay a reasonable fee to cover the costs of such copies. (iv) The right to a written individualized service/program plan; (v) The right to be involved in, to the extent possible, his own plan of care; (vi) The right to refuse service, unless it is determined by a physician or licensed psychologist that the client is unable to care for himself, dangerous to himself or others, or mandated by a court. (d) Receipt of Service (Residential Services). Each client shall have the right to retain his own personal effects, clothing, and money. Each client shall have the right to converse privately, have convenient and reasonable access to the telephone and mails, and to see visitors, except if denial is necessary for treatment or habilitation, as documented in the client's record by a physician or licensed psychologist. Each client shall have the right to exercise the civil, political, personal, and property rights to which he is entitled. Each client shall have the right to pursuit of employment, education, and religious expression. If restriction, abridgement, or denial of a client's rights are instituted, other than those pursuant to 290-4-9-.02(1)(c)1. (iii) of these regulations, the nature, extent and reason shall be entered in the client's record as a written order approved by a physician or licensed psychologist. Review of such restriction will occur in the approved treatment or habilitation review process. Any continuing denial or restriction shall be reviewed every 15 calendar days and shall be entered into the client's treatment or habilitation record. Such restriction, abridgement, denial of a right must be reviewed by the staff responsible for review of client rights as specified in the Program's Quality Improvement Plan. (f) Physical Restraints and Time-out Utilization. Physical restraints shall not be used in any program governed by these rules and regulations; provided, however, that emergency receiving, evaluating and treatment facilities may use restraints in accordance with Rules and Regulations for Patients' Rights, Chapter 290-4-6. For the purposes of this subsection, those devices which restrain movement, but are applied for the protection of accidental injury or required for medical treatment of the client's physical condition or for supportive or corrective needs of the client, shall not be considered physical restraints. However, such devices used in such situations must be authorized and applied in compliance with the Program's policy and procedures. The use of such devices shall be a part of the client's Individual Service/Program Plan. Time-out procedures shall be used solely for the purpose of providing effective treatment and protecting the safety of the client and other persons and shall not be used as punishment or for the convenience of staff. It shall be documented in the client's record, prior to the use of time-out procedures, that less restrictive methods of modifying the problem behavior have been systematically tried and found to be ineffective. (i) Every use of time-out shall be under the supervision and observation of the Program's professional staff and limited to no more than 15 minutes per episode. (ii) Every use of time-out shall be conducted in a unlocked well lighted, heated or cooled, ventilated area with a means of observation available. The area(s) to be used for time-out shall be identified in the Program's policy and procedure for time-out utilization. (iii) Every use of time-out shall be documented in the client's record. Such documentation shall include but is not limited to: (I) the reasons and justification for time-out utilization; (II) the signature of the person authorizing the time-out. (g) Medications. The attending physician is responsible for assuring, and documenting in the client's record, that the benefits, side effects, and risks of psychotropic medication are explained to the individual, commensurate with the individual's abilities of comprehension and understanding. All medications shall be administered or prescribed solely for the purpose of providing effective treatment or habilitation and/or protecting the safety of the client and other persons and shall not be used as punishment or for the convenience of staff. If not judicially declared incompetent, all adults shall give signed consent to the administration of medication. If an adult client has been judicially determined to be incompetent to give signed consent or to make decisions of a similar nature, signed consent to the administration of medication shall be obtained from the client's guardian with capacity to make such decision. If the client is a minor, such signed consent shall be obtained from the minor's parent or legal guardian. Only in cases of emergency, where the physician determines that immediate intervention is necessary to prevent the death of or serious consequences to a client and where delay in obtaining signed consent would be unsafe for the client or others then immediate essential intervention may be administered without the consent of the client or other person. In such emergency cases, a record of the determination of the physician shall be entered into the client's record, and this will be the prior consent for such intervention. An attempt to expeditiously resolve the emergency situation must then be demonstrated. Each Program Director shall appoint a Clients' Rights Subcommittee to review the rights of the clients receiving services from programs contracted by the Department, a Regional Board, or a Community Service Board either directly or indirectly. The Clients' Rights Subcommittee functions as a part of the program's ongoing quality improvement program, as described in the Program's Quality Improvement Plan. (i) The Clients' Rights Subcommittee staff is chosen from those staff responsible for the Program's Quality Improvement peer review system; and is a subcommittee of the Quality Improvement Committee. Members shall be composed primarily of professional staff and shall also include a service consumer or his representative or person not otherwise affiliated with the program. (ii) The Clients' Rights Subcommittee shall have the authority to investigate complaints, use whatever means are available and appropriate to resolve complaints, and consult with Program management on the development of policies and procedures to safeguard the rights of clients served in the Program. (iii) The Quality Improvement Clients' Rights Subcommittees in the Programs conduct their activities under the auspices of the Program Quality Improvement Committee, and all reports will be channeled through the Quality Improvement Committee to the appropriate Program Director/designee for appropriate corrective action. A copy of all reports will also be channeled to the Division Quality Improvement Committee through the Division Personal Advocacy Unit. (2) First Step. (a) The complaint shall be filed with the Clients' Rights Subcommittee of the client's Program, and it may be filed on a form provided by the Program. If the client states the complaint orally, specific assistance should be given in proceeding with the complaint and completing the form. Complaints may be made by telephone to clients' rights staff persons, who will complete the form. Staff members whose alleged conduct gave rise to the complaint may be informed of the complaint. (b) As soon as possible, but within seven working days after the complaint is filed, the Clients' Rights Subcommittee shall investigate the complaint, resolve it if possible, complete a disposition report, and file it with the Quality Improvement Committee's records. If after interviewing the complainant, however, it is found that the complaint does not state an allegation that, if true, would constitute a violation of these regulations or other applicable law, the complaint may be rejected in writing. In cases of such rejection, the original of the rejection notice shall be filed in the Quality Improvement Committee's records, and a copy shall be sent to the complainant. In all investigated complaints, the staff shall employ the investigatory method deemed most suitable to determine the facts. This method may include, but is not limited to, personal interviews, telephone calls, review of documents, and correspondence. The Quality Improvement Committee and its designees shall have access to all files, documents, records, and personnel of the Program deemed by the Committee to be relevant to its investigation. The Committee shall resolve the complaint through mediation and conciliation whenever possible. The client whose rights are alleged to have been violated or someone in his behalf may appear before the committee. (c) The Program's Quality Improvement Committee shall complete a brief disposition report on each investigated complaint and forward it to the Program Director for approval. The report shall state the parties involved, the gist of the complaint, and whether the complaint was resolved or not. The original report shall be filed on forms provided by the Division in the Committee records, and a copy shall be sent to the Regional Executive Director, the Director of the Program, and to the Division Quality Improvement Committee through the Personal Advocacy Unit. The complainant shall be notified of the action taken by the Committee. (3) Second Step. (a) If the complaint is rejected or is not resolved by the Committee to the satisfaction of the client (or his guardian or parent of a minor client, if applicable) or the complainant, either the client (or his guardian or parent of a minor client, if applicable) or the complainant may file with the Program Director a written request for a review of the complaint. The request shall be filed no later than 15 working days after the person filing the request receives a copy of the rejection notice or the disposition report of the Committee, which report includes notice of the necessity to file for review within 15 working days. The Program Director may reject the request in writing without a review if either the complaint or the request for review is not filed in a timely fashion, or if the complaint does not state an allegation that, if true, would constitute a violation of these regulations or other applicable law. The original of the rejection shall be filed in the Program Director's records, and a copy shall be sent to the complainant and to the Regional Executive Director. In all other cases, the Program Director shall designate a staff member who is a member of the Quality Improvement Committee and has no connection with the complaint to conduct a review of the complaint. (b) The person conducting the review of the complaint shall review all reports and documents which were utilized in Section 290-4-9-.04(2). In addition, the reviewer may interview any person who may have information related to the complaint. The complainant, shall be given an opportunity to discuss the complaint directly with the reviewer and present any information relevant to the complaint. Any staff member(s) whose alleged conduct gave rise to the complaint shall also be given an opportunity to discuss the complaint with the reviewer and present any information relevant to the complaint. This review process is designed to be an informal process and not a formal hearing. The reviewer shall document his findings. The review shall be completed as soon as possible, but within 10 working days after the request for review is filed. (c) Within five working days after the conclusion of the review, the reviewer shall submit to the Program Director a written report of the review. The report shall contain a list of the pertinent provisions of these regulations or other applicable law, and a recommendation for disposition. Within three working days after receiving the reviewer's report, the Program Director shall issue a written decision disposing of the complaint. The Program Director's decision, in addition to the disposition, may incorporate by reference those lists contained in the reviewers report. In this decision, the Program Director may accept, reject, or modify the reviewer's recommendation, or he may return the case to the reviewer for further proceedings. If the Program Director returns the case to the reviewer, the Program Director shall specify the matters to be addressed in the further proceedings and shall specify the period within which those proceedings shall be concluded. In no event shall the period for completing the further proceedings, including the reviewer's submission of an additional report to the Program Director and the Program Director's issuance of a decision, exceed 10 working days. The original of the Program Director's decision shall be filed on forms provided by the Division in the Program Director's records, and a copy shall be sent to the Regional Executive Director, to the complainant, and the Division Quality Improvement Committee through the Division Personal Advocacy Unit. (4) Third Step. (a) The client (or his guardian or parent of minor client, if applicable) or the complainant may appeal the Program Director's rejection or other decision by filing a written request for review with the Regional Executive Director or his/her designee. The request for review shall be filed no later than 10 working days after the person filing the request receives a copy of the Program Director's rejection or other decision. Upon the filing of such a request, the Program Director shall be notified, and the Program Director shall immediately transmit to the Regional Executive Director a copy of the Program Director's rejection or decision, together with a copy of the reviewer's recommendations, the Program Director's decision, and other documents utilized in the review, if any. (b) Within 10 working days of the filing of the request for review the Regional Executive Director, or his/her designee, shall issue a decision disposing of the appeal. The Regional Executive Director may reject the request in writing without a review if either the complaint or the request for review is not filed in a timely fashion, or if the complaint does not state an allegation that, if true, would constitute a violation of these regulations or other applicable law. The original of the rejection shall be filed in the Regional Executive Director's records and a copy sent to the complainant. In all other cases, the Regional Executive Director shall review the pertinent facts, reports, and reviews which were in Section 290-4-9-.04(2) and 290-4-9-.04(3), and issue a written decision disposing of the complaint. The original of the Regional Executive Director's decision shall be filed on forms provided by the Division in the Regional Executive Director's records, and a copy shall be sent to the complainant and to the Division Quality Improvement Committee through the Division Personal Advocacy Unit. (5) Fourth Step. (a) The client (or his guardian or parent of a minor client, if applicable) or the complainant may appeal the Regional Executive Director's rejection or other decision by filing a written request for review with the Director of the Division of Mental Health, Mental Retardation and Substance Abuse. The request for review shall be filed no later than 10 working days after the person filing the request receives a copy of the Regional Executive Director's rejection or other decision. Upon the filing of such a request, the Regional Executive Director shall be notified, and the Regional Executive Director shall immediately transmit to the Director a copy of the Regional Executive Director's rejection or decision, together with a copy of the previous reviewer's recommendations, the Program Director's decision, and other documents utilized in the review, if any. (b) Within 10 working days of the filing of the request for review; the Director or his designee shall issue a decision disposing of the appeal. This decision of the Director or his designee shall be based upon a review of the request for review and the documents forwarded by the Regional Executive Director; no evidentiary hearing shall be conducted by the Director or his designee. In the decision, the Director or his designee, may affirm, reverse, or modify the Regional Executive Director's rejection or other decision, or he may return the case to the Regional Executive Director for further proceedings. If the Director or his designee returns the case to the Regional Executive Director, the Director or his designee shall specify the matters to be addressed in the further proceedings and shall specify the period within which those proceedings shall be concluded. In no event shall the period for completing the further proceedings, including the reviewer's submission of an additional report, the Regional Executive Director's issuance of another rejection or other decision, and the Director's or his designee's issuance of a decision, exceed 14 working days. The original of the Director's or his designee's decision shall be filed in the Director's records, and copies shall be sent to the Regional Executive Director and to the complainant. The decision of the Director shall be final. (6) General Provisions. (a) Whenever the Program's Clients' Rights staff or the Division's Personal Advocacy Unit becomes aware of a situation that appears to require immediate action to protect the welfare and safety of any client, the Program's Clients' Rights staff or the Personal Advocacy Unit shall immediately notify the nearest available staff member with authority to correct the situation. (b) In any situation that requires immediate action to protect a client's welfare or safety, the Regional Executive Director may be notified instead. If adequate corrective action is not taken by that staff member, the Clients' Rights staff or the Personal Advocacy Unit shall immediately notify the Regional Executive Director, or, if necessary, the Division Director or the Commissioner of the Department. (c) No person shall be subject to any form of discipline or reprisal solely because he has sought a remedy through or participated in the procedures established by this Section 290-4-9-.04. (d) Obstruction of the investigation or disposition of a complaint by any person shall be reported to the Program Director, who shall take action to eliminate the obstruction. Staff members are subject to adverse action for engaging in such obstruction, in accordance with personnel procedures of the Department or the personnel procedures of the governing authority. (e) Time limits designated in this Section 290-4-9-.04 may be extended by the decision maker at each step for good cause only. (f) This complaint procedure does not replace or invalidate any other Department policy or procedure pertaining to reporting requirements, disciplinary matters, or the like. (g) Staff members who are involved in a complaint shall not be involved in the processing of that complaint. 290-4-9-.05 Confidentiality. (1) A service record for each client shall be maintained. The record shall include data pertaining to admission and such other information as may be required under regulations and standards of the Department. The service record shall not be a public record and no part of it shall be released except: (a) Service records of clients treated for alcohol and drug abuse shall be maintained in accordance with Volume 42 of the Code of Federal Regulations 42, Part 2, "Confidentiality of Alcohol and Drug Abuse Patient Records," as now or hereafter amended. Volume 42 of the Code of Federal Regulations Part 2 and O.C.G.A. 37-7-166 control the disclosure provisions for clients treated for alcohol and drug abuse; (b) When the chief medical officer of the Program where the record is kept deems it essential for continued treatment or habilitation, a copy of the record or parts thereof may be released upon consent of the client to physicians or licensed applied psychologists when and as necessary for the treatment of or habilitation of the client; (c) A copy of the record may be released to any person or entity as designated in writing by the client or, if appropriate, the parent of a minor, the legal guardian of an adult or minor, or a person to whom legal custody of a minor patient has been given by order of a court; (d) When a client is admitted to a Program, a copy of the record or information contained in the record from another facility, community program, or a private practitioner may be released to the admitting Program. When the service/program plan of a client involves transfer of that client to another Program or hospital, a copy of the record or information contained in the record may be released to that Program or hospital; (e) A copy of the record or any part thereof may be disclosed to any employee or staff member of the Program when it is necessary for the proper treatment of the client; (f) A copy of the record shall be released to the client's attorney if the attorney so requests and the client, or the client's legal guardian, consents to the release; (g) In a bona fide medical emergency, as determined by a physician treating the client, the chief medical officer may release a copy of the record to the treating physician or to the client's psychologist; (h) The record shall be produced by the entity having custody thereof at any hearing held under O.C.G.A. Chapters 37-1, 37-3, 37-4, 37-5, or 37-7 at the request of the client, the client's legal guardian, or the client's attorney; (i) A copy of the record shall be produced in response to a valid subpoena or order of any court of competent jurisdiction, except for matters privileged under the laws of this State; provided, however, that disclosure of alcohol abuse or drug abuse client information shall be produced in response to a court order issued by a court of competent jurisdiction pursuant to a full and fair show cause hearing; (j) Notwithstanding any other provision of law to the contrary, a law enforcement officer in the course of a criminal investigation may be informed whether a person with mental illness or mental retardation is or has been a client in a Program as well as the client's current address, if known; provided, however, that disclosure of alcohol abuse or drug abuse client information is not authorized by this paragraph. (k) Notwithstanding any other provision of law to the contrary, a law enforcement officer in the course of investigating the commission of a crime on the premises of a Program or against Program personnel or a threat to commit such a crime may be informed as to the circumstances of the incident, including whether the individual allegedly committing or threatening to commit a crime is or has been a client in the Program, and the name, address, and last known whereabouts of any alleged client perpetrator. (2) Any disclosure authorized by this section or any unauthorized disclosure of confidential or privileged client information or communication shall not in any way abridge or destroy the confidential or privileged character thereof, except for the purpose for which such authorized disclosure is made. Any person making a disclosure authorized by this section shall not be liable to the client or any other person notwithstanding any contrary provision of O.C.G.A. Section 24-9, Article 2, as now or hereafter amended. 290-4-9-.06 Notification of Rights. In addition to the provision of these Regulations Paragraph 290-4-9-.01(3), each Program shall display a notice in a prominent place of the availability and accessibility of these regulations Chapter 290-4-9 at each appropriate service site. Authority O.C.G.A. Chap. 37-2; Secs. 37-1-23; 37-3-2; 37-4-3; 37-7-2. History. Original Rule entitled "Notification of Rights" was filed on January 9, 1987; effective January 29, 1987. Repealed: New Rule of same title adopted. F. Aug. 18, 1994; eff. Sept. 16, 1994, as specified by the Agency. A SIGNED COPY OF THE RIGHTS MUST BE PLACED IN CLIENT’S OR EMPLOYEE’S FILE By signature below, I, an employee of Faith Staffing Agency, Inc. acknowledges that I have received a copy of the Clients’ Rights that this information has been fully explained to me. All employees must fill out the competency skill form. *All employees must go through the standard nursing protocols. * Two store trips per week is part of employee job description, no mileage will be paid. If you accept a case or shift, it is expected that the individual will fulfill his or her responsibility by reporting to their assignment. In the event that you encounter an emergency or illness prior to the scheduled shift, call Faith Staffing Agency, Inc Immediately. Failure to notify the office of your inability to fulfill your shift will result in termination unless extreme circumstances can be verified. Please read the call out policy given to you or request one from the office if in doubt. It is extremely important that you understand patients, clients, Faith Staffing Agency, Inc and God are depending on you, and if one person doesn’t provide excellent care, and responsibility, patients are the one who suffers. It is your responsibility to notify Faith Staffing Agency, Inc if you cannot make it to your assignment on time. We need to have this information in order to notify the client. More importantly, as a member of the Faith Staffing Agency, Inc team, you are an individual asset and the office staff becomes concerned for your safety if we do not know your whereabouts and you are running late. Dress code for all Staff will be nurse uniforms. When in doubt, please check with the office to clarify. Faith Staffing Agency, Inc expects all contract employees to present a neat, clean, professional appearance within the guidelines of the specific facilities guidelines. Frequently update the office on your availability. When needs are received, we will contact you to offer the shift. If you accept the assignment, we will then confirm it with the facility/client. Make every attempt to return our calls promptly, since normally we have contacted a number of members and give the shift to the first person to return our call. Any unusual occurrence/injury that takes place during your shift should be reported to the office staff immediately. This includes injury to yourself; serious injury to a patient, or any situation that you feel should be brought to our attention. All employees needing medical attention must use agency’s posted workmen’s compensation physician panel for all job related injury. Your Faith Staffing Agency, Inc staff is available 24 hours a day. After office hours a staff member is on call, and available to assist you. Simply call the 24 hour line (678) 851-1284 and leave a message. We do ask that discretion be used when calling after hours, and we ask that any calls that can wait until the next business day be made at time. ALWAYS WEAR YOUR FAITH STAFFING NAME BADGE, AS IT IS OFTEN THE ONLY WAY THAT A FACILITY OR CLIENT WILL KNOW YOU ARE A FAITH STAFFING AGENCY, INC CONTRACT EMPLOYEE. Contact Faith staffing Agency, Inc on a weekly basis to report availability, verify work schedule, or request work assignments. Have all schedule changes and work assignments arranged, coordinated, and approved. You cannot go over or change your assigned schedules. Contact Faith Staffing Agency, Inc if a client or client family members desire different staffing arrangements. Hours worked by staff members must coincide with the hours approved by Faith Staffing Agency, Inc in order for the staff member to be paid. Accept work assignments only if there is certainty that the shifts, days and hours in the assignments can be worked. Report for accepted work assignments. Arrange schedules to avoid conflict with accepted work assignments, especially if you are working for another employer in addition to working for Faith Staffing Agency, Inc.
Give an advance four-hour minimum notice to Faith Staffing Agency, Inc coordinator if a work assignment is cancelled due to unforeseen events such as illness, injury, or emergency situations. Be on time for scheduled work assignments. If you are not able to be on time due to a legitimate emergency, you must contact the Staffing Coordinator, rather than contacting the client. Contact the Staffing Coordinator if the work assignment is completed before the scheduled work time is up. The hours you work as reflected on your time card coincide with the hours approved by the Staffing Coordinator in order for you to be paid for the hours worked. Report for work assignments at 15 minutes early for orientation/report especially when you are unfamiliar with policies and procedures, equipment and routine. All staff members must participate in annual job performance reviews. Contact the Administrator if you are asked to perform tasks that are not in your job description. Adhere to the following standards in dress, appearance, and conduct. Wear casual clothes, such as skirts, slacks, and shirts when asked by the facility. For women: wear shirt hemlines at knee length; pant hemlines at ankle length; comfortable, enclosed toe and heel shores; and nylons or stockings. For men: wear pant hemlines at ankle length: comfortable, enclosed toe and heel shoes, and socks. Wear jewelry sparingly, for example, a ring and small earrings. Function within limits set by Faith Staffing policies and procedures. Do not use slang or foul language. Be considerate and courteous in contacts with clients and other persons. Treat clients with respect and recognize their need for privacy. Ensure client confidentiality with respect for client’s histories, conditions, and behaviors. Do not accept gratuities from clients. Maintain a calm and reassuring attitude in crisis situations. Be tactful in manners and attitudes when dealing with clients and other persons. Seek clarification of assignments as necessary. Seek assistance when unable to complete assignments. Contact the staffing coordinator within 24 hours if injured while on duty. Do not abuse chemical substances, such as alcohol or drugs. Do not sleep on duty unless live-in services are being provided to the client, and only as outlined in the live-in policy and procedure. Any medication that may make you drowsy is not to be taken while on duty. Do not use cell phones while in the home, except for emergency purposes! Do not smoke in the client’s home even if you have the client’s permission. Do not witness signatures on any papers (i.e., sale of house or last will and testament). Do not violate staff members’ confidentiality. This means that staff member’s addresses and personal phone numbers are not to be released to clients or person not affiliated with Faith Staffing Agency Inc. If a request is received to release this information, notify the office immediately. Do not falsify time slips. The time that is written on the time slip is to reflect the time that is actually scheduled and worked. You cannot under any situation sign your time slip for your clients. This is fraud! Don’t be cut! In the case where your client is unable to sign, report to your supervisor immediately! Do not discuss salary with clients or client family members. You cannot provide services in client’s house when the client is absent from home. Special per hour rates on weekends if you work on call. 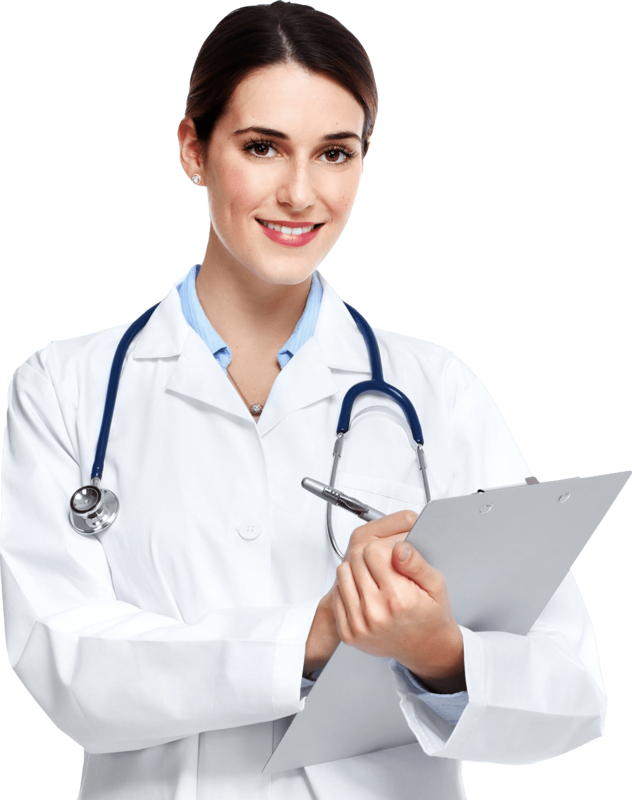 Have read and understood the policy and procedures of Faith Medical Services its scope of service, type of clients it serves, client’s rights and responsibilities, client assurance policies and complaint handling procedure. Have being orientated, read and understood Faith Medical Services policy and procedure for Call outs, Cancellations, lateness. Have, read, understood and acknowledge the risks, safety guidelines, and emergency procedures listed in the packet. I agree and comply with these guidelines, in addition to any specific safety instructions provided by the Faith Medical Services procedures informational packet. Have never been shown by credible evidence (e.g. court or jury, a department investigation or other reliable evidence) to have abused, neglected, sexually assaulted, exploited, or deprived any person or to have subjected any person to serious injury as a result of intentional or grossly negligent misconduct as evidenced by oral or written statement to this effect obtained at the time of application. Participated in the orientation and training organized by FMS and given the employee handbook. I am aware that all assignments are on PRN basis and there are no guaranteed hours. Cases are assigned as available. I acknowledge according to Faith Medical Services policies that if I quit an assignment without following the procedure laid out, my last check pay rate will be dropped to minimum wage. Have not made any material false statements concerning qualifications requirement either to Faith Medical Services or to the GA department of Human Resources. Have not made any material false statements concerning eligibility for employment to Faith Medical Services. 5)	Handle grievance, complaint of abuse by client. Investigate and reports to the Administrator within 5 days on corrective measures taken. 9)	Develop and maintain training calendar for in-house training and external training needs of the organization and scheduling of staff for training. 11)	To attend mandatory provider’s training sessions as organized by the Division of Aging Services. 13)	To perform your duties in a professional manner avoiding confrontation with client or client’s family members. I have read the job descriptions and agree to adhere to the policy. Duties and Responsibilities Please sign both copies of duties and responsibilities, return one for file and keep the other for yourself. Overview: The Nursing Assistant must provide personal care and other scope of services for clients as directed in the care plan. 3. Vacuuming, sweeping, dusting, mopping, doing laundry, emptying trash, wiping spills promptly. 4. Observing and reporting meal accumulation and food storage or cooking equipment. 4. Making emergency call for client if needed. 2. Assisting client with self-administration of medications. 2. Making sure all tasks have been completed and paper work completed before departing. 3. Observing and reporting to supervisor any change in patients condition. 5. Reporting any unknown abuse or suspected abuse to supervisor. 8. Performing tour duties in professional manner, avoiding confrontations with client/client representative or family members. 9. (CNA OR PCA) MUST CALL 4 HOUR PRIOR TO YOUR SHIFT IF YOU ARE GOING TO BE ABSENT/LATE. 2. Health related training courses or equivalent of education and experience. I have read the job description and qualification and agree to adhere to the policy. Implement each person’s Individual Daily Program Plan. Assists each person with his or her personal cares and daily routine. Shows respect and dignity while assisting each person. Provides choices and promotes independence at home and in the community. Supports people in establishing and maintaining relationships with friends, family, and community connections. Clearly and accurately documents information related to each person’s daily program plan. Follows Abuse Prevention Plan as written for each person. Demonstrates ability to support each person’s dignity of risk while following through with specific plan/s to reduce vulnerability in identified areas. Clearly and accurately documents incidents related to the person’s vulnerabilities and communicates information as outlined in the person’s individualized plan. Follows Health Plans as written for each person. Administers medications and treatments as directed. Is able to locate and use medical information established by the program nurse. Clearly and accurately documents changes in the person’s condition and communicates this information to the nurse and coordinator. Completes work duties as assigned. Provides a clean and safe environment for each person. Prepares and provides balanced meals according to the basic food groups. Clearly and accurately documents and reports maintenance or household needs to the appropriate supervisor. Arrives on time and works his/her scheduled shift. Maintains staff coverage until relief staff are on duty or until a charge person has given approval to leave. Accepts and offers guidance and instruction to/from co-workers in a helpful manner. Upon hire, candidates must provide proof of employment eligibility and proof of being free from tuberculosis. All candidates must successfully pass a State of Georgia background check before working unsupervised. Communicates clear and accurate information to FMS team members, quality circle members, and community stakeholders in a professional manner. Accepts and is able to provide constructive feedback in a respectful manner. Takes responsibility for carrying out essential job duties in a competent manner. Completes training requirements according to FMS staff development standards. Represents FMS in a positive and respectful manner. Works safely; uses equipment properly and as directed. Uses information and data to improve the quality of service provided. Takes initiative to improve personal skills, knowledge, and team performance. Shows respect for others’ perspectives, styles, and ideas. Works with others to meet agreed timelines and objectives. Is flexible and willing to respond to changes needed to improve service. Working Conditions The physical demands described below are representative of those that must be met in order to successfully complete essential job functions. In compliance with the Americans with Disabilities Act, reasonable accommodations will be considered. I have read and understand the information contained within the job description. It is the policy of FMS to inform and make all employees aware of their Drug-Free Workplace policy and the Drug-Free workplace act. FMS prohibits any and all unlawful possession, use, dispensation, distribution, manufacture of controlled substances in the workplace, and/or on its premises or her client’s premises. Any violation of this policy will result in disciplinary action which may include immediate termination of employment. Depending upon the circumstances, other action including notification of appropriate law enforcement agencies may be taken against any violator of this policy. In the later part of 1988 the federal government passed into law a requirement that all government contractors establish guidelines, which specifically identify a company’s posture regarding drugs in the workplace. In accordance with the Drug-free workplace act of 1989, as a condition of employment, staff members must comply with this policy and notify management within (5) days of conviction of any criminal drugs charge. Failure to do so will result in immediate termination of employment. Any staff member arrested in connection with a criminal drug violation occurring in the workplace will be placed on a personal leave of absence without pay and could face termination of employment pending the outcome of the in-house investigation, and/or legal investigation and conviction. FMS shall require mandatory drug testing and /or may conduct random drug tests at their discretion of any employee. Such test may be necessary based on observed inconsistent or erratic behavior that constitutes a health or safety hazard to other employees or client’s home. If the employee or staff refuses to comply with the testing, he/she will be terminated immediately without any further notice. By signing below, you certify that you are fully aware of this policy and adherence of the same is required. All employees must observe the following procedures in the provision of services to prevent exposure to prevent exposure to infectious disease. These procedures are universal precautions to prevent the spread of infectious diseases. All blood and body fluids visible with blood are to be treated as potentially infectious. Wash hands and other skin surfaces immediately and thoroughly if soiled with blood or body fluids, and change gloves after contact with each client. Wash hands before and after giving care to clients. A. Wear latex gloves when: 1. Touching blood/body fluids, mucous membranes, or non-intact skin. 2. Handling items or surfaces soiled with blood/body fluids visible with blood. 3. Performing venipuncture and other vascular access procedures. 4. Cleaning and decontaminating spills of blood/body fluids. 5. Although no diseases are known to be spread by direct skin contact with feces or other body fluids, gloves should be worn when having contact with feces and any body fluids as a basic hygiene measure. B. Standard housekeeping cleaning procedures to be used. 1. For spills of blood and body fluids, wipe up spill with soap and water and then disinfect area with a commonly used germicide or freshly prepared 1:10 bleach solution (1 part bleach to 9 parts water). 2. All soiled linen should be bagged at the location where it was used; not be sorted or rinsed in client-care areas. Linen soiled with blood fluids should be placed and transported in bags that prevent leakage. 3. Linens and personal clothing items laundered should be washed using routine laundering procedures. 4. Dish washing using routine cleaning procedures effectively destroys pathogenic (disease causing) organisms. Dishes of clients with hepatitis B or AIDS do not need to be separated from the rest of the facility clients. Do not share unwashed utensils or use common drinking glasses with any client. 1. Use a gown or apron during procedures that are likely to generate splashes of blood or other body fluids. Universal precautions also recommend the use of masks/eye wear during procedures that are likely to generate droplets of blood or other body fluids to prevent exposure of the mucous membrane of the mouth and nose/eyes. 2. Dispose of secretions directly into the toilet. An individual toilet for a client is not required, but is recommended if the person has diarrhea. 3. Care should be taken to prevent injuries caused by needles and other sharp instruments or devices. 4. To prevent needle stick injuries, needles should not be recapped, purposely bent or broken by hand, removed from disposable syringes, or otherwise manipulated by hand. After they are used, disposable syringes and needles, and other sharp items should be placed in puncture-resistant containers for disposal. The puncture-resistant containers should be located as close as practical to the use area. 5. Direct mouth-to-mouth contact is not recommended. It is recommended that mouthpieces, ventilation bags or other ventilation devices be kept in areas where the need is predictable. However, if such devices are not available an employee should not hesitate to provide CPR (Cardiopulmonary Resuscitation) procedures. This Restrictive Covenant Agreement (this “Agreement”) is made and entered into by and between Faith Medical Services (the “Company”) and the (“Employee”) as of the date entered above this agreement. Whereas, the Company is in the business of providing personal care attendants/aides, home health aides, companion/sitters and skilled nursing care to patients in their homes (the “Company’s Business”); and Whereas, Employee understands and acknowledges that, from the outset and through the term of Employee’s employment, Employee shall receive specialized training from the Company and have access to the Company’s clients, referral sources and Confidential information, as defined below, the unauthorized use, or, disclosure of which will irreparably damage, affect or impair the Company’s Business and business relationships. 1. Confidential Information. Employees agree not to access, use, disclose or exploit, directly or indirectly, any confidential information except as necessary to perform Employee’s duties on behalf of the Company. “Confidential Information” means data and information (1) relating to the Company’s Business, regardless of whether the data or information constitutes a trade secret under applicable law, (2) disclosed to Employee or of which Employee became aware as a consequence of Employee’s relationship with the Company, (3) having value to the Company, (4) not generally known to competitors of the Company, and (5) which includes trade secrets (as defined by applicable law), manuals, policies, procedures, processes, forms, business plans, software, marketing plans, financial information, client and/or vendor lists, referral sources, client information, and all other types of confidential information related to the Company and/or the Company’s business; provided, however that Confidential information shall not mean data or information (a) that has been voluntarily disclosed to the public by the Company, except where such disclosure has been made by Employee without authorization from the Company, (b) that has been independently developed and disclosed by others, or (c) that has otherwise entered the public domain through lawful means. Confidential information also includes any information that the Company may receive or has received from customers, vendors, or others with any understanding, express or implied, that the information would not be disclosed. 2. Non-Solicitation of the Company’s Employees. During Employee’s employment with the Company, and for a period of twelve (12) months thereafter, Employee will not recruit, solicit or induce any employees of the Company to leave the employ of the Company for the purposes of becoming employed or affiliated with any business in competition with the Company’s Business. 3. Covenant Not to Solicit the Company’s Clients. Employee agrees that, during the twelve (12) month period immediately following the cessation of Employee’s employment with the Company, Employee shall not, directly or indirectly, on behalf of Employee or any other person or business; solicit any business related to the Company’s Business from any client of the Company. The restrictions set forth in this Paragraph 3 shall apply only to clients of the Company with whom Employee had material contact during the last twelve (12) months of Employee’s employment with the Company. For purposes of this Agreement, “material contact” means contact between Employee and each client (1) to whom Employee provided services on behalf of the Company; (2) whose dealings with the Company were coordinated or supervised by Employee; or (3) about whom Employee obtained confidential information in the ordinary course of business as a result of Employee’s employment with the Company. 4. Noncompete Covenant. Employee agrees that during the twelve (12) month period immediately following the cessation of Employee’s employment, Employee will not, within the Territory, directly or indirectly, engage in the Company’s Business or provide Restricted Services to any other person or entity engaged in the Company’s Business. For purposes of this Agreement, “Restricted Services” means the provision of skilled nursing and/or personal attendant care services to patients in their homes of the type conducted, authorized, offered or provided by Employee within the twelve (12) month period prior to cessation of Employee’s employment with the Company. For purposes of this Agreement, “Territory” means a two (2) mile radius from any client’s home or other location where Employee provided Restricted Services to such client on behalf of the Company during the last twelve (12) months of Employee’s employment with the Company. 5. Ownership Covenants. All Company files, records, client lists, compilations, reports, studies, manuals, memoranda, data, and similar items containing information relating to the Company’s Business, and all notes, sketches, formulas, computer program source and object codes and other computer codes and data, whether prepared or developed by Employee or otherwise coming into Employee’s possession in the course of Employee’s employment, and all copies thereof, are, and shall remain, the exclusive property of the Company, and shall be promptly delivered to the Company in the event of employee’s termination, or at any other times the Company may request. 6. Remedies for Breach of Contract. Employee acknowledges that the covenants specified in Paragraph 1-5 contain reasonable limitations as to time, geographic area, and scope of activities to be restricted and that such promises do not impose a greater restraint on Employee than is necessary to protect the goodwill, Confidential Information, client and employee relations, and other legitimate business interest of the Company. Employee also acknowledges and agrees that any violation of restrictive covenants set forth in Paragraph 1-5 would bestow an unfair competitive advantage upon any person or entity which might benefit from such violation, and would necessarily result in substantial and irreparable damage and loss to the Company. Employee further acknowledges and agrees that Employee is capable of readily obtaining employment following termination of Employee’s employment with the Company that does not breach or threaten to breach the restrictions contained in Paragraph 1-5 of this Agreement. Accordingly, in the event of a breach or a threaten breach by Employee of any restriction contained in Paragraph 1-5 of this Agreement, the Company shall be entitled to an injunction restraining Employee from such breach or threatened breach, as well as recovery of its costs and attorney’s fees. Nothing therein shall be construed as prohibiting the Company from pursing any other remedies available to it for such breach or threatened breach including the recovery of damages from Employee. In the vent that the Company should seek an injunction hereunder, Employee waives any requirements that the Company post a bond or any other security. Employee understands and agrees that, in the event of litigation arising out of a breach or threatened breach of this Agreement, any applicable time period shall be tolled during the pendency of such litigation, including appeals. 7. No Inconsistent Obligations. Employee is aware of no obligations, legal or otherwise, inconsistent with the terms of this Agreement or with Employee’s undertaking employment with the Company. Employee will not disclose to the Company, or use, or induce the Company to use, any protected confidential information or trade secrets of others. Employee represents and warrants that Employee has returned all property and protected confidential information belonging to all prior employers. 8. Severability. Except as noted below, should any provision of this Agreement be declared or determined by any court of competent jurisdiction to be unenforceable or invalid for any reason, the validity of the remaining parts, terms and provisions of this Agreement shall not be affected thereby and the invalid or unenforceable part, term or provision shall be deemed not to be a part of this Agreement. The Covenants set forth in this Agreement are to be reformed pursuant to Paragraph 9, below, if held to be unreasonable or unenforceable, in whole or in part, and, as written and as reformed, shall be deemed to be part of this Agreement. 9. Reformation. If any of the covenants or promises of this Agreement are determined by any court of law or equity, with jurisdiction over this matter, held to be unreasonable or unenforceable, in whole or in part, and, as written Employee hereby consents to and affirmatively requests that said court reform the covenant or promise so as to be reasonable and enforceable and that said court enforce the covenant or promise as so reformed. 10. Assignment. The terms and provision of this Agreement shall inure to the benefit of and be binding upon the Company and its successors and assigns. This Agreement may not be assigned, in whole or in part, by Employee without the written consent of the Company. This Agreement may be assigned by the Company to any successor, parent companies, divisions, or affiliates thereof, and those entities are specifically acknowledged to be third party beneficiaries of the terms of this Agreement. 11. Survival of Obligations. The covenants contained in this Agreement shall survive termination of Employee’s employment to the extent provided herein, regardless of who causes the termination and under what circumstances. 12. Governing Law/Selection of Forum. This Agreement shall be governed by, and construed in accordance with, the laws of the State of Georgia. Employee acknowledges and agree that the negotiation of the provisions of this Agreement took place in the State of Georgia and that this Agreement was executed, made, delivered and materially performed in the State of Georgia. Employee hereby (a) submits to personal jurisdiction in the state of Georgia for any action arising out of or in connection with this Agreement; (b) waives any and all personal rights under the laws of any state to object to jurisdiction within the State of Georgia and (c) agrees that for any cause of action arising out of or in connection with this Agreement, Employee shall not file a claim or lawsuit in any court or arbitral forum except for a state or federal court located with Clayton County, Georgia. 13. At- Will employment. Employee acknowledges that nothing contained herein is intended to constitute a contract of continued employment, but instead Employee recognizes that Employee’s employment with the Company is on an “at-will” basis and may be terminated by either Employee or the Company at any time, for any reason, with or without cause, and with or without notice. 14. Entire Agreement. This Agreement contains the entire agreement between the parties hereto regarding the subject matter hereof, and the same shall not be amended, modified or altered except by a written instrument executed by both parties. How To Enroll For Direct Deposit? Please read and complete this form to initiate automatic direct deposit for your entire payroll check or a portion of your net pay. When Does Direct Deposit Start? Approximately 2 weeks after your form has been received and processed. 1. In accordance with the Federal Reserve Policy, Direct Deposits may take up to 48 business hours to be posted to your account. It is your responsibility to verify funds prior to writing checks against your account. 2. Direct deposit items are processed using the routing number from your voided check. However, some financial institutions require a different number for electronic transmissions. If your financial institution is a savings and loan, credit union, or you wish to deposit into a savings account, please verify with your Financial Institution that the routing number on your deposit slip is the same number we should use for electronic transmissions. to determine what time they post electronic transactions before trying to access your balance. 4. For your first initial payroll deposit, call your Financial Institution to confirm that your direct deposit(s) have been posted properly. * A maximum of 3 payroll deductions and one net pay direct deposit are allowed. Please attach a copy of a personal VOIDED check from all Accounts you wish to be directly deposited. I authorize deposit of my payroll check with the financial institution I have indicated. The financial institution is authorized to credit those deposits to the account(s) indicated. This authority will remain in effect until I have given written notice of its termination. If my Employer does not provide funds to cover my paycheck, I authorize you and the Financial Institution, at anytime, to reverse the credit transaction and withdraw money from my Account in an amount equal to the amount credited, and regardless whether the original amount credited is still in my account. I understand that I must give advance notice to allow reasonable time for my instructions to be executed. If ever an incorrect amount should be entered into my account, I direct and authorize my financial institution and Employer to make the appropriate adjustment. We have orientation in office every Wednesday at 11am. Call us at (770) 907-7226 option 4 to schedule your slot. Walk-ins are accepted as long as you have all your up to date credentials.